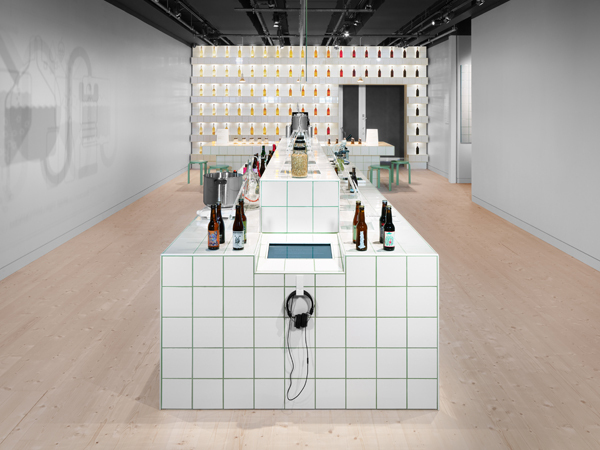 Form Us With Love designs and curates Beer exhibition at Spritmuseum in Stockholm, celebrating the science and art of beer making. 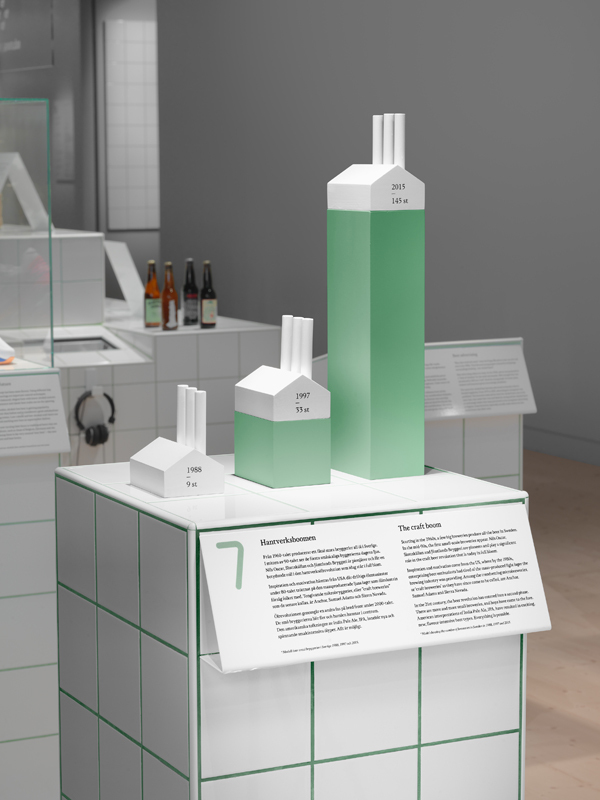 In responds to the growing number of connoisseurs, passionate brewers and beer fans, Form Us With Love has designed a beer exhibition based on the culture of craft and experimentation. In a country where the numbers of breweries have doubled year-on-year, differentiation is key. It is precisely why a little guidance into what goes into beer making might be needed. “We invite the public to learn more about what it takes to makes one beer unique to another. 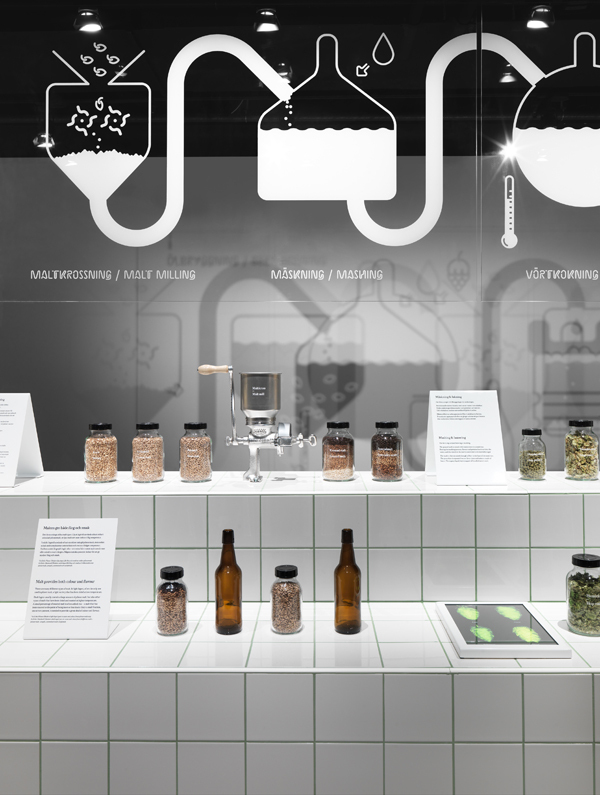 By creating an educative environment, we encourage people to be curious – smelling, feeling and distinguishing ingredients and methods that formulate the many recipes on display,“ says Anna-Karin Svanberg, producer at Spritmuseum. 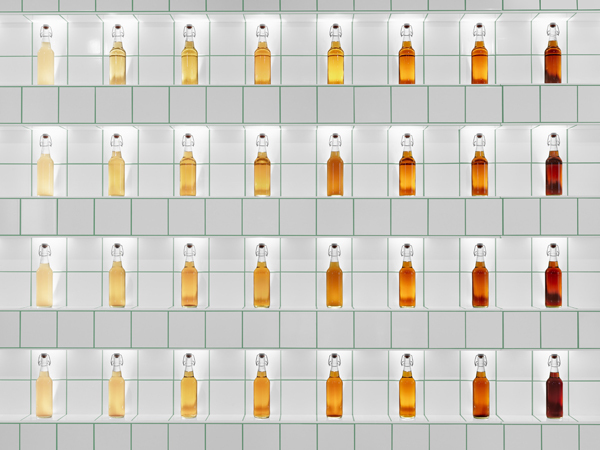 To help the audience navigate through the unique collection of Swedish beers, Form Us With love has created a dramatic aesthetic, engaging both initiated malt lovers and first time barley inspectors to enter the world of beer science. 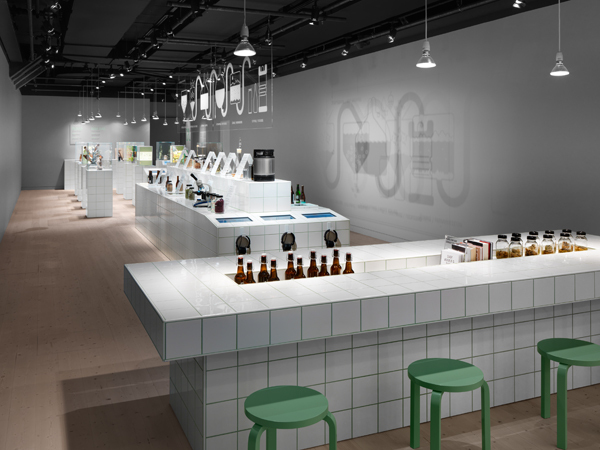 Made using industrial tiles, the interiors reflect a laboratory married with a museum, in a grid of glass podiums accompanied by low hanging pendant lamps. “We wanted to illustrate dimensions of observation and experimentation by combining clinical materials and theatrical lights. 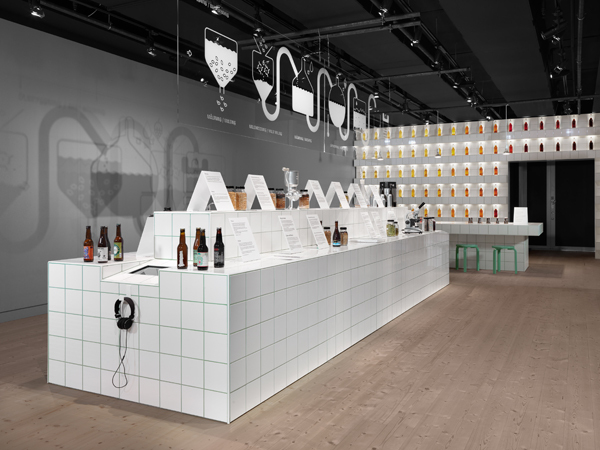 Inspired by labs and ateliers, the intention is to make the audience investigative and engage with the process of how to find formulas for beer success,”says Form Us With Love. 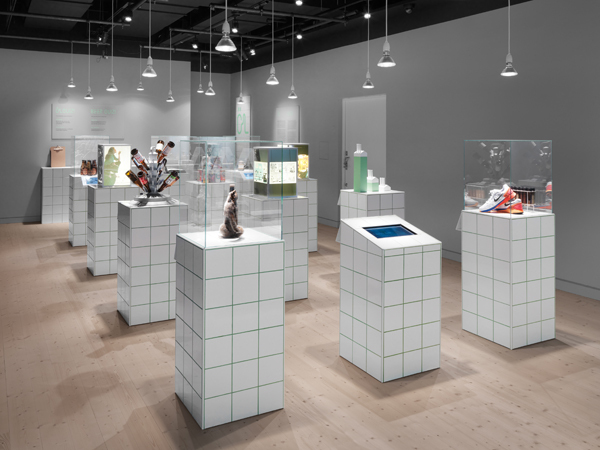 About Spritmuseum: A new museum in Galärskjulen on Djurgården in Stockholm. A place which is much more than a museum - a unique meeting-place, with tasting rooms, a bar, restaurant, café and shop. Exhibitions include Sweden: Beer, Spirit of a nation, Traingone: Paintings by Frank Bowling and the Absolut Art Collection. Located at the Wasahamnen harbor on Djurgården, in close proximity to the Vasa museum and the Gröna Lund Tivoli. Spritmuseum opened to the public on May 24 2012.